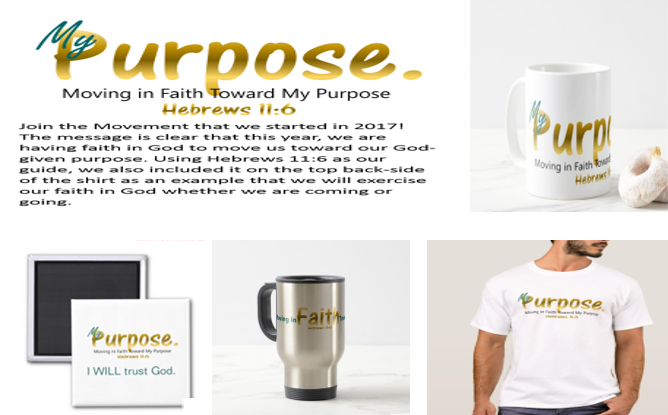 ​​NetKiEnt Inspiration began as an inspirational blog and quickly became the catalyst for The Moving Forward in Faith Toward my Purpose and No Fear Movements. My interactions with clients and others have found that many need a boost in confidence and inspiration to move forward through what are difficult times in their career and personal lives. I provide motivational and inspirational quotes, articles, stories and the NetKiEnt Inspiration YouTube Channel to inspire people to move forward in their purpose. Also, as a believer in God, I have also started a blog project titled Journey to Discovering Truth, that chronicles and unmasks falsehoods taught in traditional Christianity. ​The Today Chronicles offers a burst of motivation to help readers stay on their purpose no matter what challenges they may face. The statements are a reflection of some of my own challenges and/or sparked by a clients’ experience or a thought inspired from something observed. We will offer a digital book of our favorite Today Chronicles in 2018. We also have added videos on our NetKiEnt Inspiration YouTube channel. Sisters Working In Purpose! is our celebration of women who have taken a risk and are working in their purpose! These are sisters from all walks of life, diverse colors and ages. These are women who managed to pursue their purpose despite the many challenges along their journey. We hope to encourage others to move forward in their purpose to enrich their lives and experience the life that God intends for them through the stories of these courageous women. 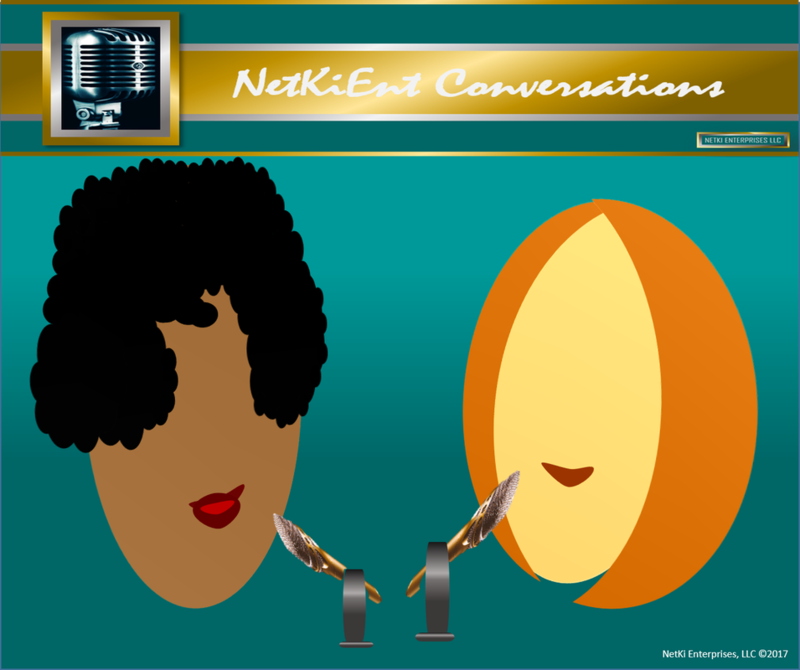 NetKiEnt Conversations is our new monthly podcast that will debut in 2018. We will start conversations with my conversation with the listeners just sharing who I am and my thoughts and ideas on various topics. After a few months, we will invite others in to join in our conversations regarding topics such as modern Christianity, career topics, relationships, books, movies and whatever we want to discuss. ​This year more than ever we are moving in faith toward our purpose. Knowing and expecting challenges, we are committed to keeping our trust in God to get us through the tough times. We use Hebrews 11:6 as our theme; “But without faith, it is impossible to please him: for he that cometh to God must believe that he is and that he is a rewarder of those who diligently seek him. (KJVA). As it is our goal to fulfill the plan for our lives that God has for us, we seek to please him. Branded products are available at our NetKi_Enterprises store at zazzle.com. 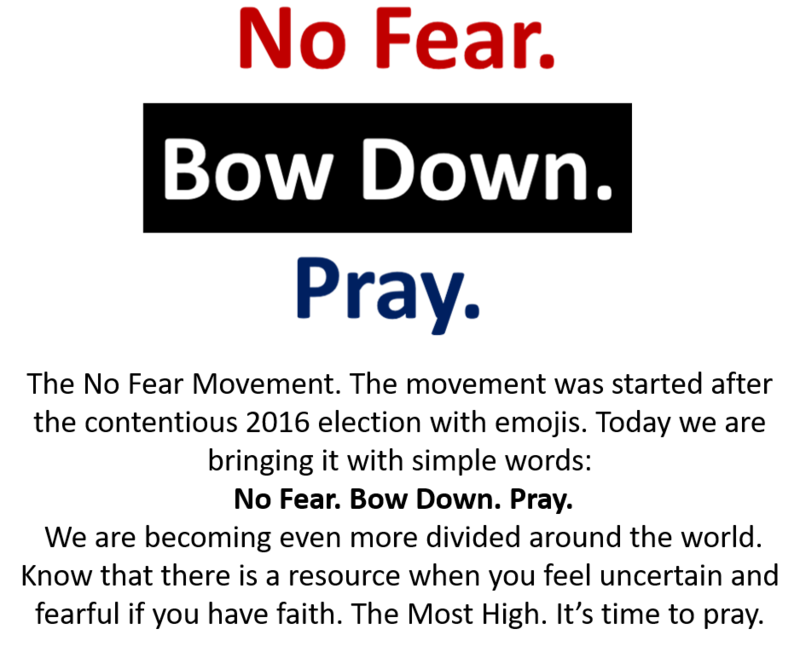 The No Fear Movement (No Fear. Bow Down. Pray.) started from the aftermath of the 2016 election and the seemingly hopelessness that so many felt. Whether it was those who felt abandoned by their party or those who voted for the other candidate, the feeling of bitter disappointment was rampant. It is easy to be afraid and worry with all that is going on, Just remember who is really in control. God is in control. We will be fine. Products as illustrated including a poster are available at our NetKi_Enterprises store at zazzle.com. We will also provide stories and commentary in our quarterly newsletter. Emoji's by EmojiOne. Our NetKiEnt Books and Stories provide readers a release from stresses in their lives with faith-based stories set in real life situations. Our first fiction novel is Familiar Strangers, Changing Faces available at lulu.com or amazon.com. Our informative e-books and whitepapers educate readers by providing career advice and inspirational guidance. The NetKiEnt Luminary is our quarterly newsletter. Sign up to receive copies at the contact us page. To purchase Familiar Strangers, Changing Faces, Click on the Lulu icon below. 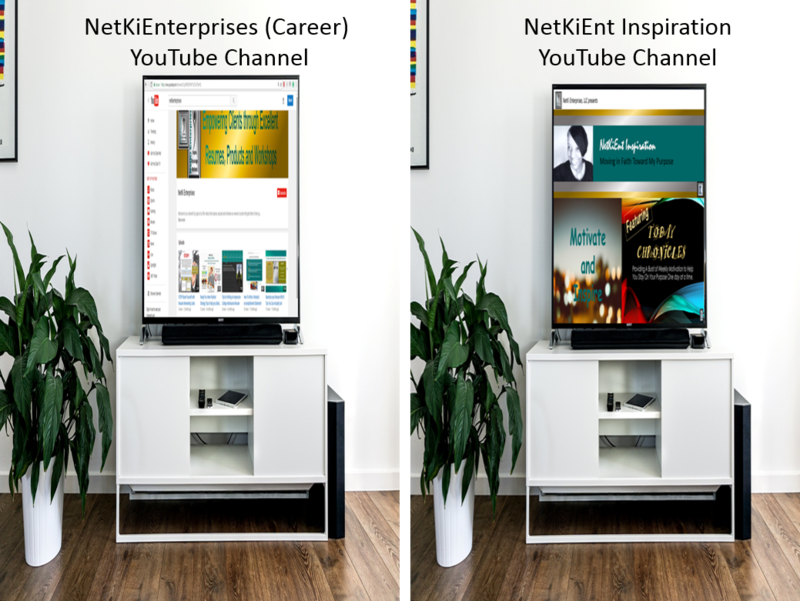 Our two YouTube channels are our NetKi Enterprises Career and NetKiEnt Inspiration YouTube channels. The NetKi Enterprises channel provides career tips from how to write fantastic accomplishment statements to tips on structuring a career strategy. Our NetKiEnt Inspiration channel provides inspirational and motivational content to encourage viewers during difficult times. 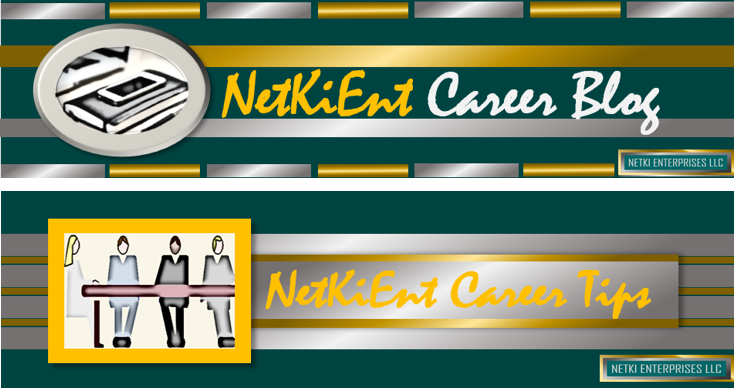 The NetKiEnt Career Blog provides tips, articles and post to help readers move forward in their career. Topics covered include how to change your perspective, realizing your value, increasing confidence, workplace romance, leadership and other weekly career related topics. ​NetKiEnt Career Tips offer a quick dose of career information to keep those who are searching for a new career focused on the task at hand. Our career tips offer helpful information that can be easily applied by the readers. Check out our career tips on our Instagram, Pinterest or Google+ pages. We also highlight career tips on our YouTube career channel. Coming in 2018, we will offer a digital book filled with helpful career tips. Have a question or comment or want to sign up for our newsletter? We want to hear from you!